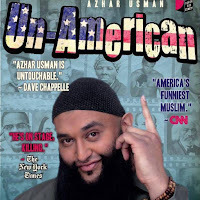 Azhar Usman is easily Chicago's top stand up comedian and our Comedian Spotlight of the week. This comedic monster with credentials through the roof is unapologetically funny, with a voice that can demand the attention of any room and jokes that challenges the politics of America. He has opened numerous times for the iconic Dave Chappelle who has said, "Azhar is untouchable!" and has received recognition from hundreds of media/news publications such as TIME Magazine, BBC, USA Today, CNN, The New York Times and many more. This comedian/actor/writer/producer has traveled through out the world and toured to over 20 countries. 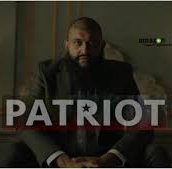 As of recently Azhar, has been a comedic writer contributor for Hasan Minhaj's speech at the 2017 White House Correspondents Dinner. He has collaborated comedy material for Netflix original standup specials: Hannibal Buress' 'Comedy Camisado' and Hasan Minhaj's 'Homecoming King', Azhar guest starred on Amazon Studios' series PATRIOT. He also appeared on Pete Holmes' podcast "You Made It Weird,"
Catch him local at his monthly showcase (every 2nd Thursday of the month) Divide and Conquer he produces with Chicago comedians, David Carter and Tucker Millett at Laugh Factory Chicago.